Butler, Party of 4: Snow!! Remember all the way back in January when GA had the major snowstorm?? Jon & I were both off work for a full week, and we loved EVERY minute of it! Wanna know what we did for a whole week?? We made whole grain pancakes & egg whites for breakfast morning, snuggled and watched lots of movies, Law & Order, and DIY, baked cookies & ate lots of other yummy home cooked meals like healthy lasagna- yum! ), went to the mall, worked out every day, read, did our Bible studies, cleaned, caught up on laundry, played guitar and sang, and most of all enjoyed one another's company. 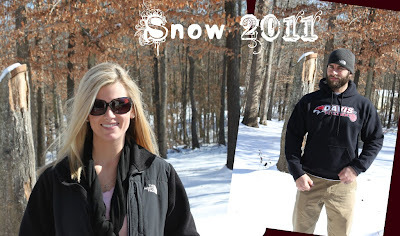 We did not play in the snow at all....I know, lame! I freeze to death anyway, so I enjoyed just staring at the snow out the window from the comfort of my warm room! (I spend too much time in front of my space heater....do you think that's dangerous?) Thank goodness the roads cleared up when they did. If we didn't go back to work soon, we'd probably have a baby Butler on the way! Hehe! (I mean, what else is there to do?) :) I know this for sure....we were certainly not ever bored, going stir crazy, or experiencing any cabin fever! 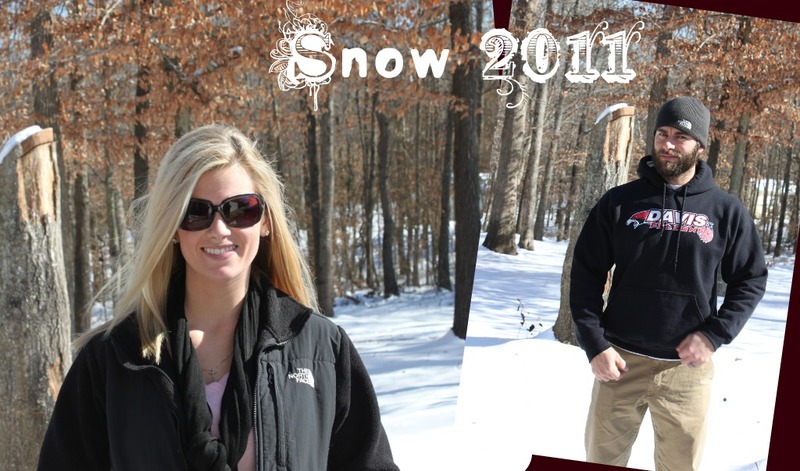 And these are the ONLY pics we got in the snow. I can't wait for babies Butler to make their entrance into this world . . . but like you said before, spend some time just enjoying each other first. But I still can't wait!!! I can't wait for you to have the babies (haha!)!!! I will be there every step of the way!!!! And you were just fine at the salon, it's a bride's right to have a little meltdown . . .I soooooo much LOVED being pregnant each time, it is such a magical special bonding time that you get to share with this little person growing inside your tummy!! !